Obesity is defined by people who weigh 30lbs overweight who are at least 5 feet 4 inches or your Body Mass Index to be 30 or higher and it’s considered to be an epidemic in America. We often help patients weight and size when they receive acupuncture and we provide an herbal regimen along with a dietary plan. We have state of the art equipment to measure your weight, BMI, fat percentage, visceral fat, muscle mass, bone mass, BMR, metabolic age, water weight and more. Lose size and weight using no drugs or surgery to lose 20-40 lbs or more while detoxing and changing your diet into a sustainable lifestyle. We will measure your progress by measuring weight, height, size, basal metabolic rate, body mass index, bone mass, muscle mass, body fat%, water% and metabolic age to measure your progress in the program. Give us a goal and we will help you get into new clothes, feel younger and be more energetic. 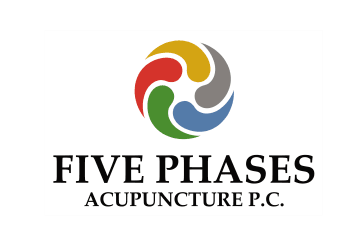 If you are suffering from some form of IBS, bacterial overgrowth, gas, burping, distention, acid reflux and heartburn, acupuncture can balance the digestive energy. I often encounter cases where distention and burping is very common due to the absence of gallbladder which are often successfully treated with herbs and digestive enzymes. The digestive system is often related to people’s emotions ranging from anxiety, stress and the ability to “let go” whether it’s emotionally or their bowels. I am a big advocate of the squatty potty because of the benefits on the health of the prostate. Acid Reflux, Heartburn, GERD, Dyspepsia/Indigestion, Nausea, Vomiting, Ulcer, Pain, Belching, Bloating, Gas, Gallstones. IBS, Bacteria Overgrowth (i.e. Candida, etc…) and parasites.